Breastfeeding shouldn’t be a struggle, and, if you stay in tune with your baby, it can be effortless. 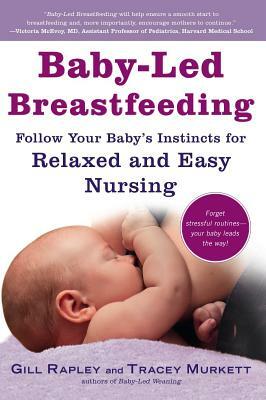 Baby-Led Breastfeeding will give you the tools to create a happy and fulfilling breastfeeding experience for you and your baby. Gill Rapley, PhD, the pioneering champion of baby-led weaning, has studied infant feeding and child development for many years. She worked as a public health nurse for more than 20 years, and has also been a midwife, lactation consultant, and breastfeeding counselor. She lives in Kent, England, with her husband and has three grown-up children, all of whom tried their best to show her that they didn’t need any help with solid foods. Tracey Murkett is a freelance writer and journalist and a volunteer mother-to-mother breastfeeding helper. After following baby-led weaning with her own daughter, she wanted to help to spread the word about how enjoyable and stress-free mealtimes with babies and young children can be. She lives in London with her partner and their daughter.